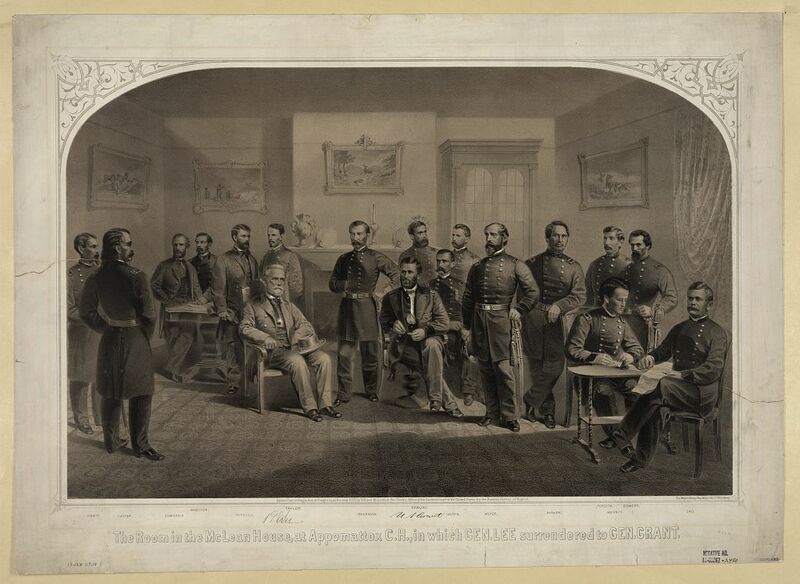 Appomattox Surrender, 9 April 1865, by Thomas Nast (Harper’s Weekly, public domain). 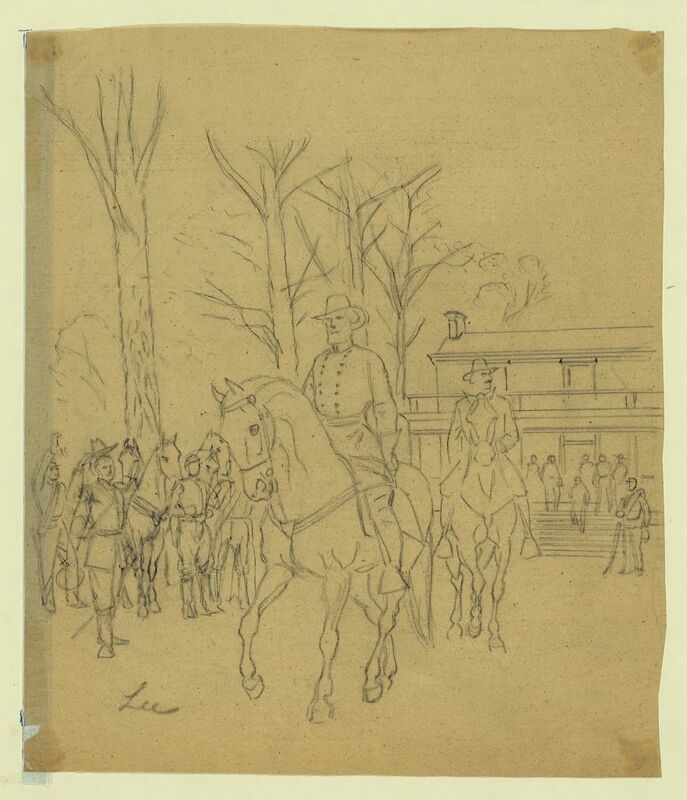 Robert E. Lee leaving McLean House following his surrender to Ulysses S. Grant (Alfred Waud, 9 April 1865, U.S. Library of Congress, public domain). Cutting up the tree, under which Grant and Lee met, for trophies (Alfred Waud, c. 9 April 1865, U.S. Library of Congress, public domain). 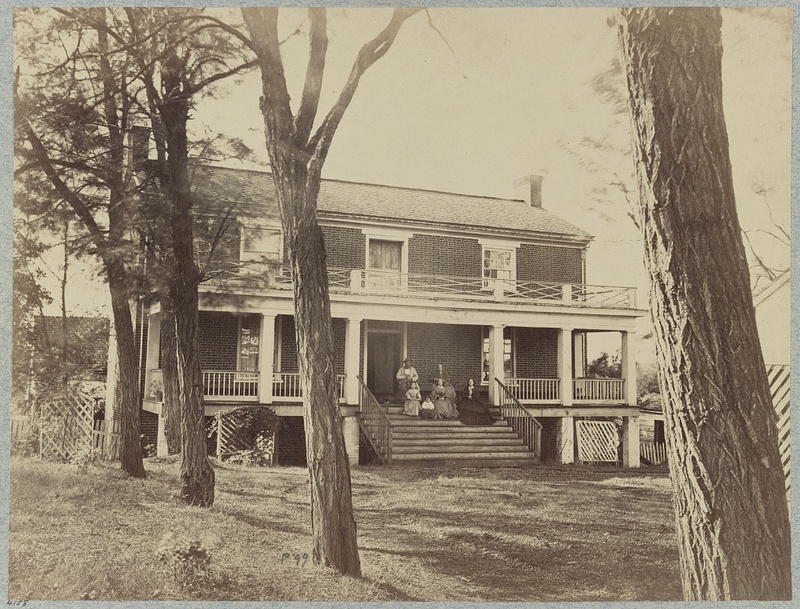 McClean House, the house in Appomattox, Virginia where the terms of surrender between Generals Ulysses S. Grant and Robert E. Lee were signed. Family members of the house’s owner, Wilmer McLean, are seated on the steps (Timothy H. O’Sullivan, April 1865, U.S. Library of Congress, public domain). 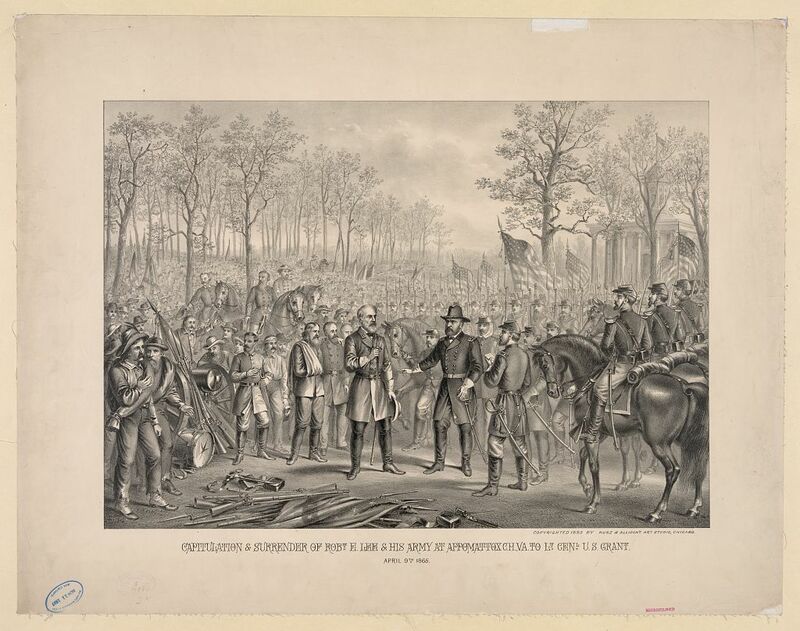 Surrender of General Lee at Appomattox Court House, Virginia, 9 April 1865, Currier & Ives, c. 1865 (U.S. Library of Congress, public domain). 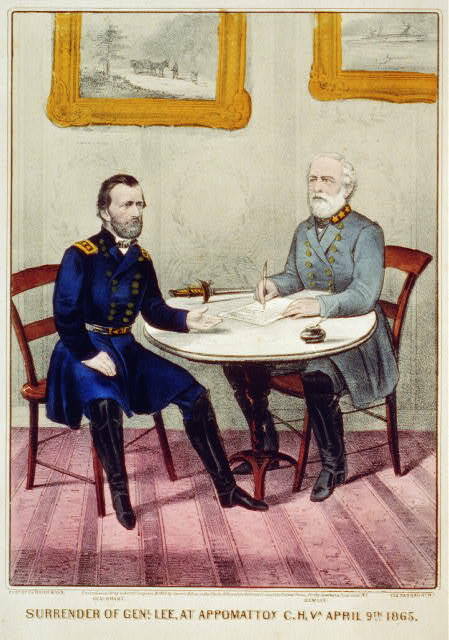 Scene in the room at McLean House, Appomattox Court House, Virginia, where General Lee surrendered to General Grant (Major & Knapp, U.S. Library of Congress, public domain). 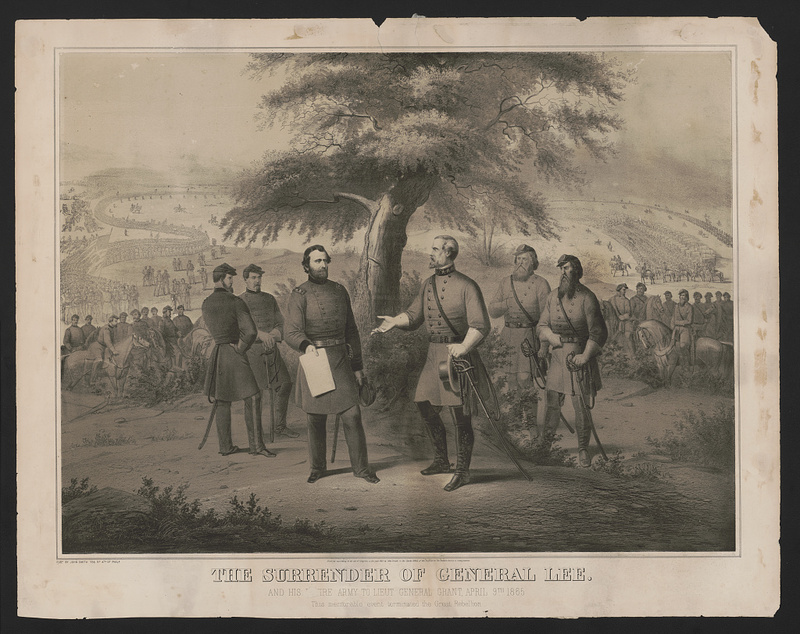 Surrender of Lee and his entire army to Grant, 9 April 1865 (John Smith, Philadelphia, c. 1865, U.S. Library of Congress, public domain). 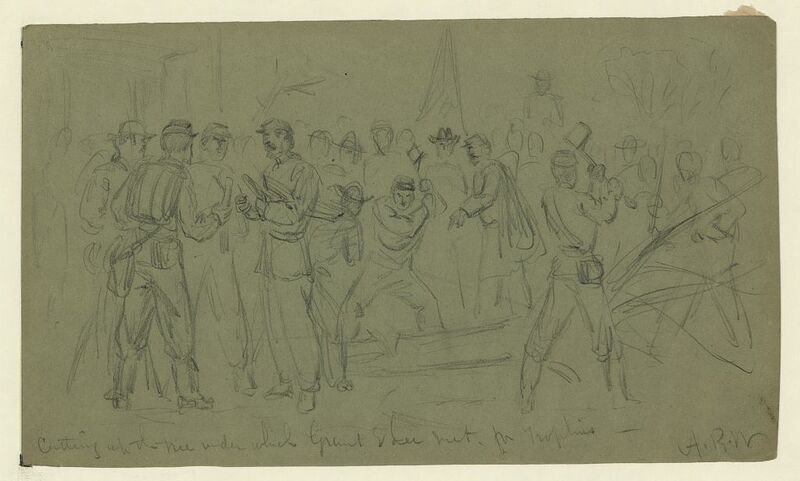 The capitulation and surrender of Lee and his army at Appomattox Court House, Virginia to Grant, 9 April 1865 (Kurz & Allison, 16 September 1885, U.S. Library of Congress, public domain). 1. 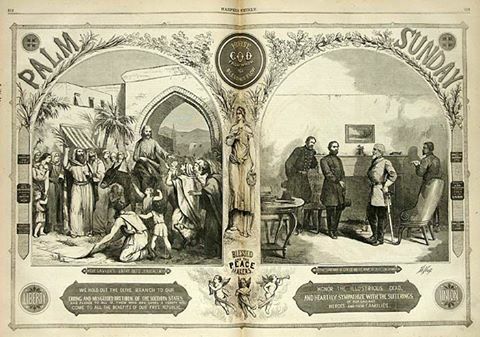 Harper’s Weekly (public domain). 2. U.S. Library of Congress, Prints and Photographs Division (public domain).